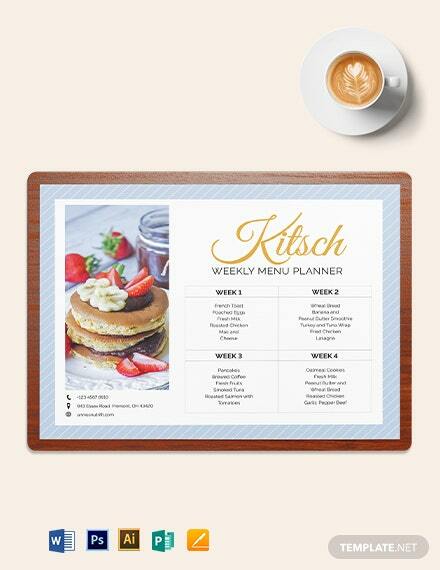 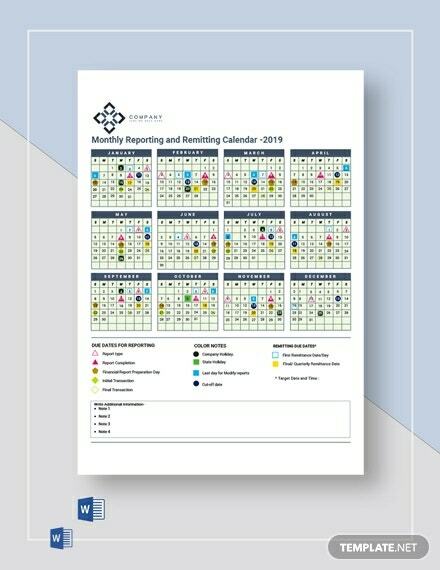 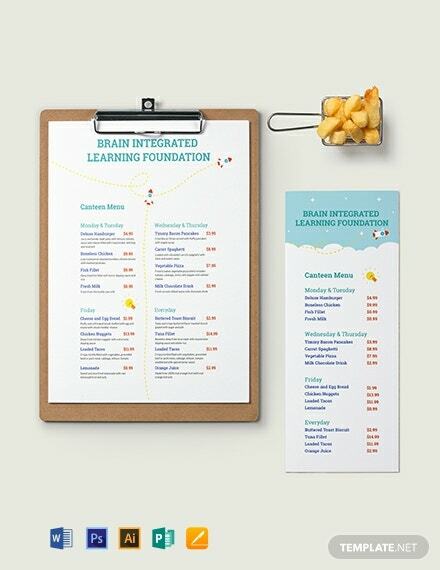 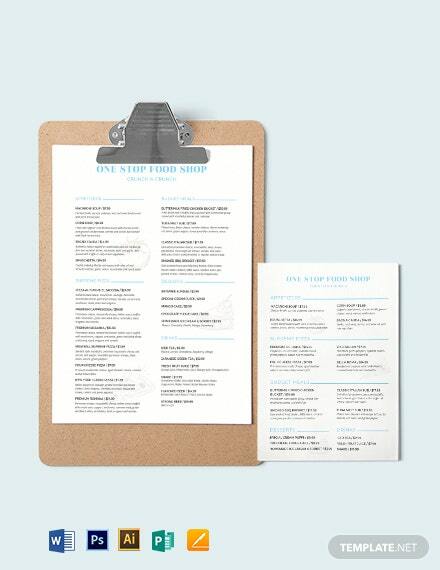 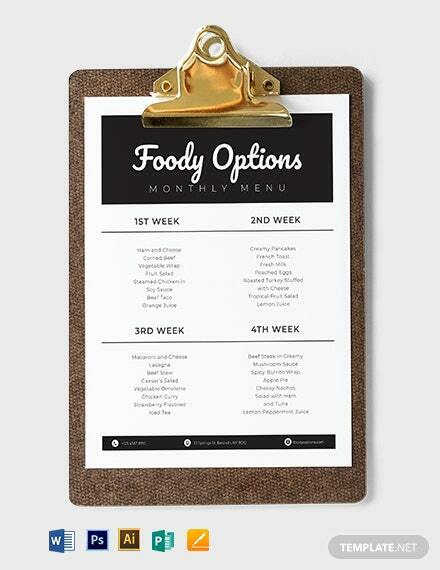 Have an organized monthly menu template with this Monthly menu Template. 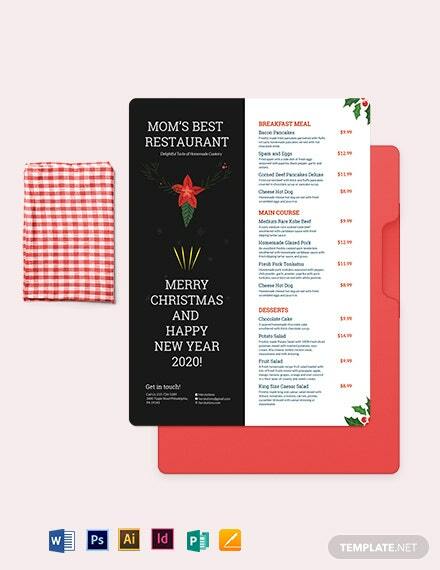 It provides a clean and understandable arrangement of content while the design is simple and can be modified in many ways you +More can think of. 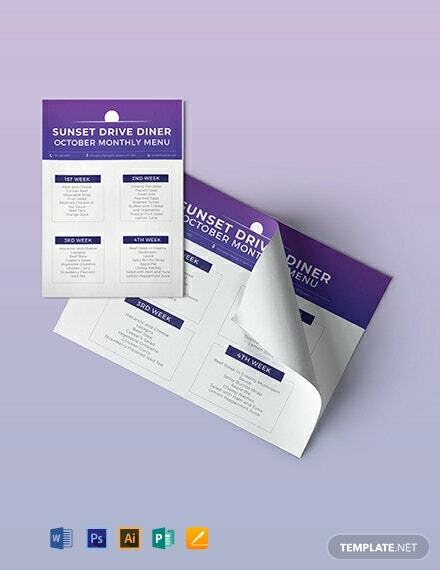 The template comes with royalty free fonts, designs and artworks. 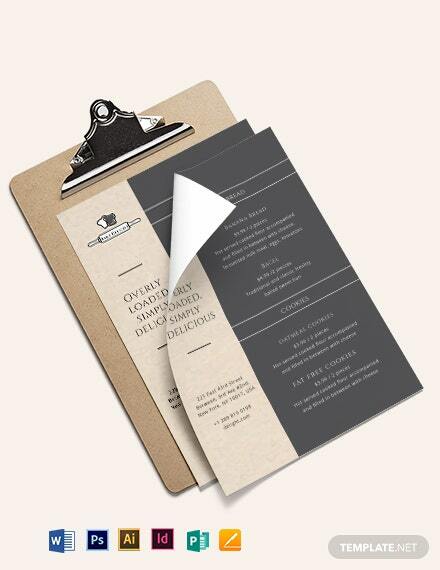 It is available in file formats such as Adobe photoshop, Illustrator, Ms Word, Publisher, and pages. 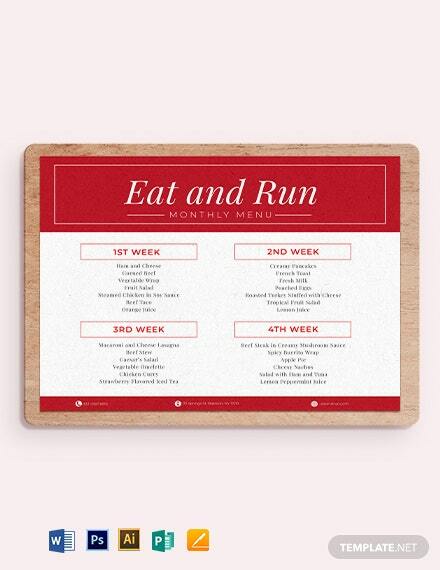 You can edit, customize, and personalize this template in ways you want it to look like. 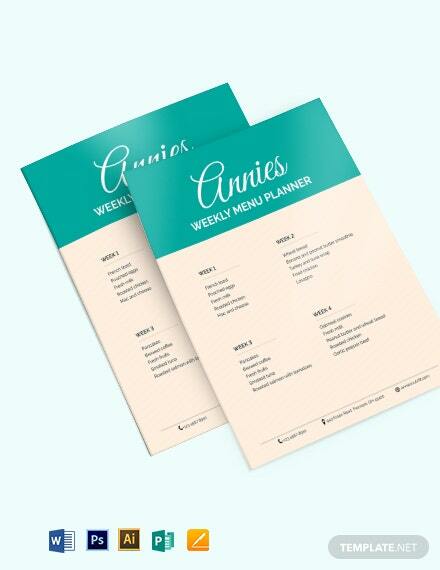 The colors used in this template also complement with the simplicity of the design. 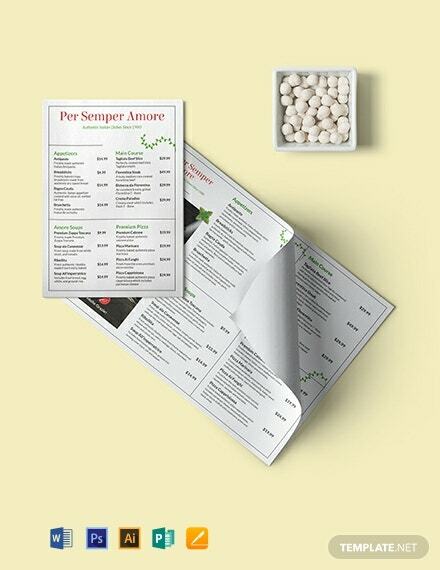 Buy one now to get more out of this excellent template!